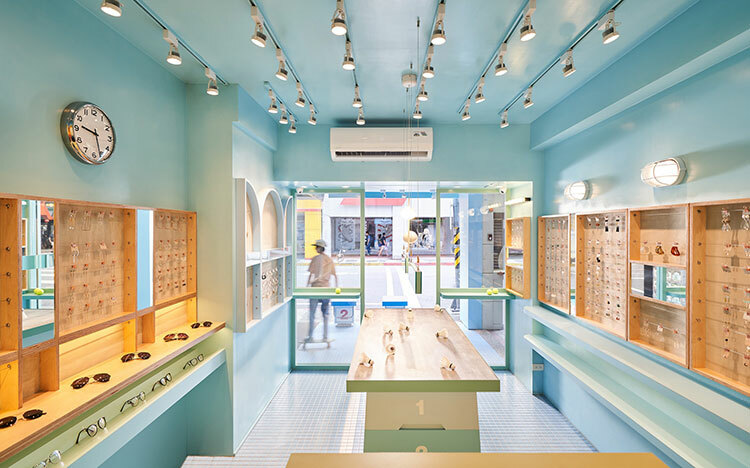 Located in a region in Taipei, Taiwan where young generations congregate. 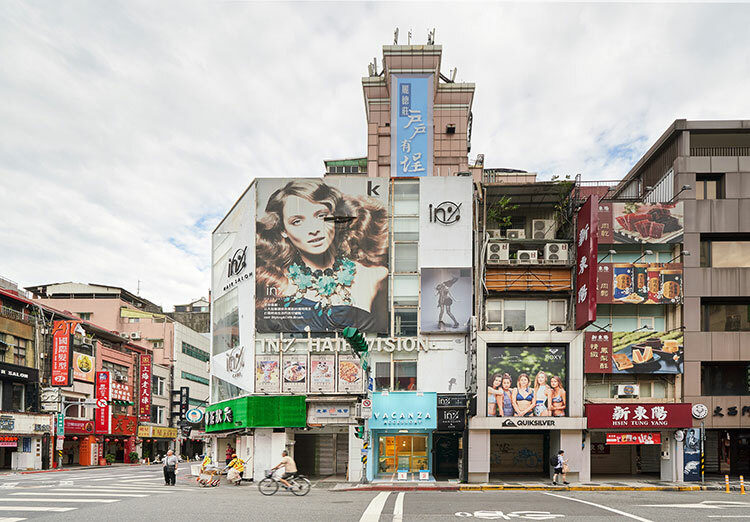 The geographical environment is both new and old with mixed streetscapes dating back over 300 years. 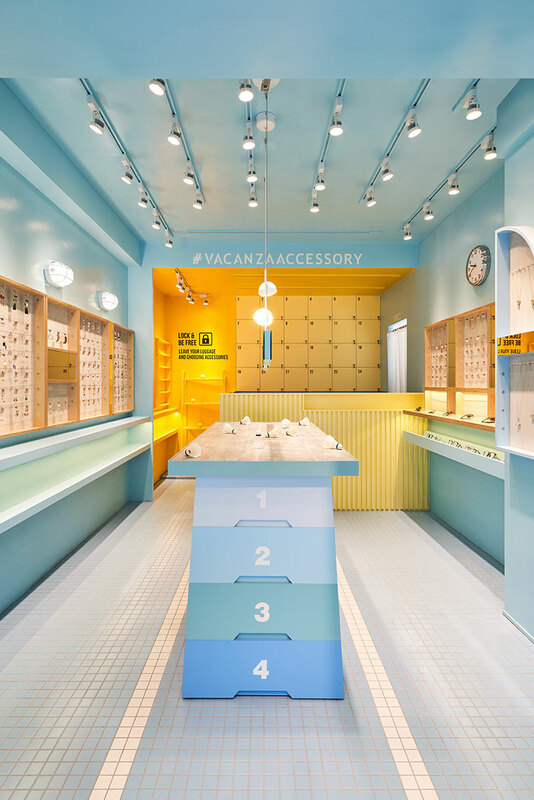 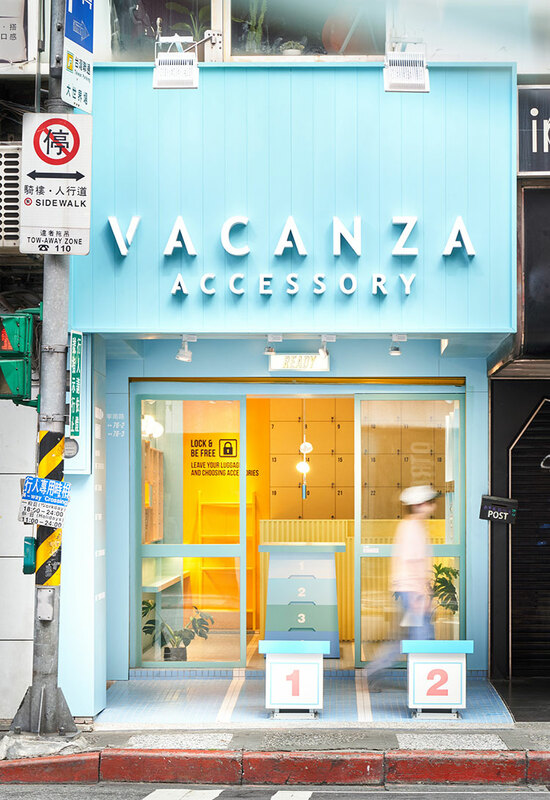 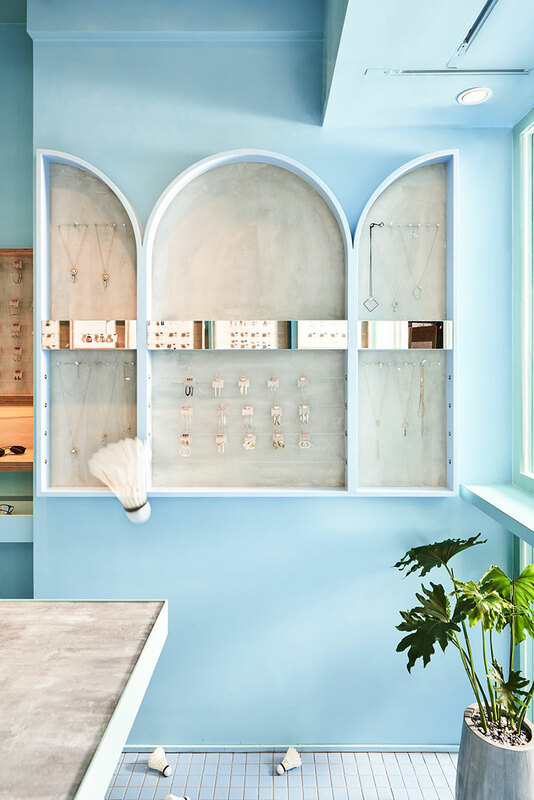 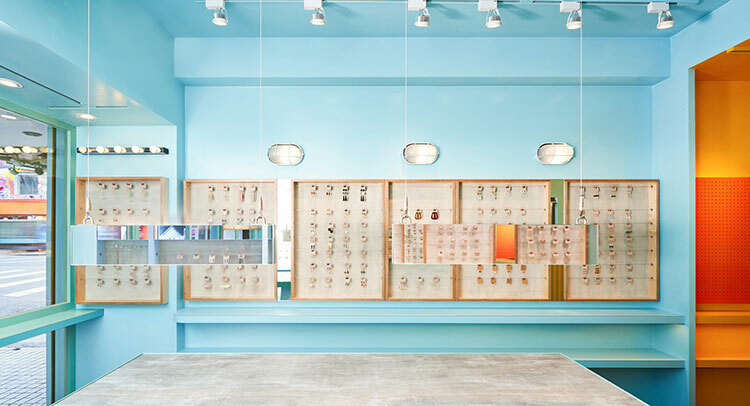 In order to attract the attention of the pedestrians, local based design studio 45tilt chose a series of similar colors and materials extending from outside in, to design the new VACANZA accessories shop. 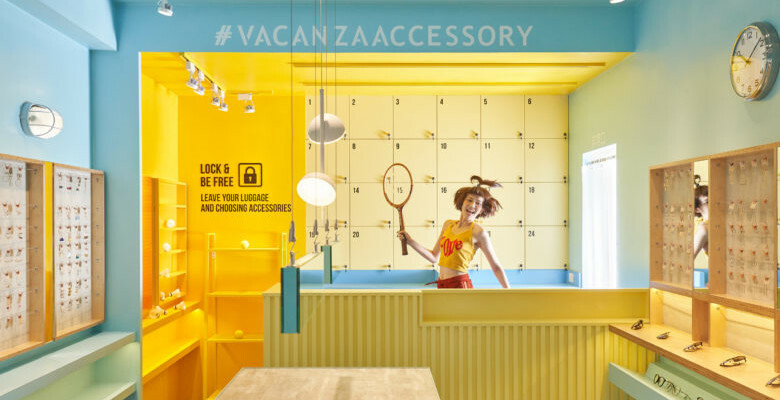 VACANZA Accessory is a fashion accessory store with ample display surfaces that doesn’t encroach on the customers. 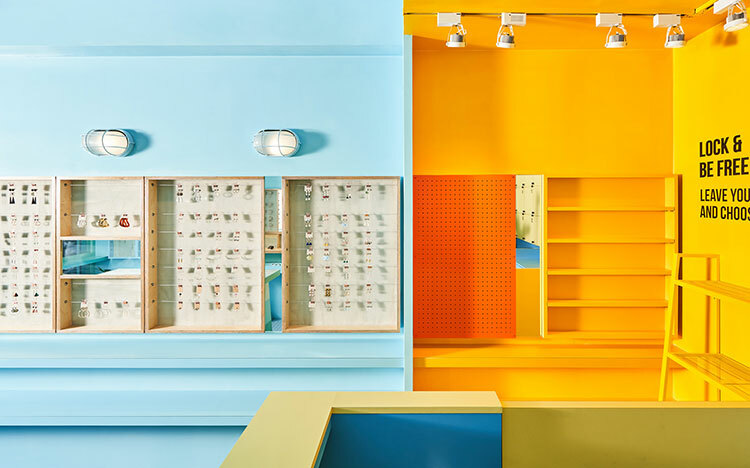 45tilt studio plays with the concept of a sports stadium and transforms a typical display case into something exciting. 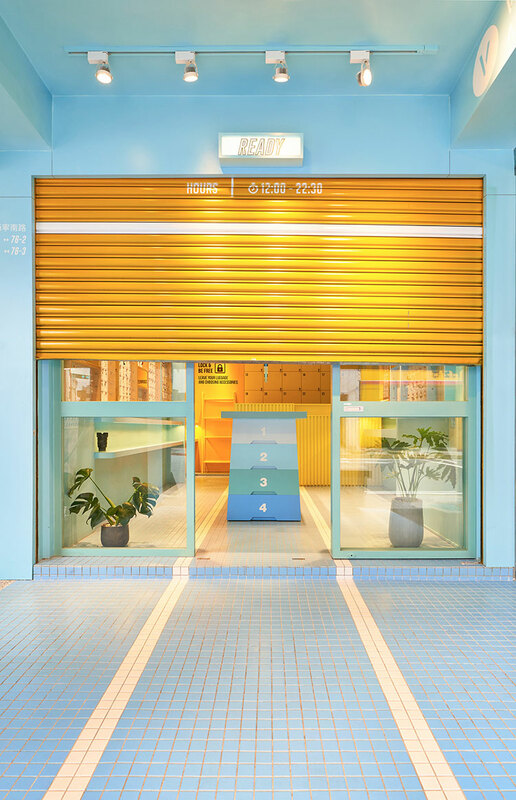 Customers can enter the store along the waterway from the diving platform located at the arcade, walk around the exhibition vaulting box, and finally reach the end of the locker counter. 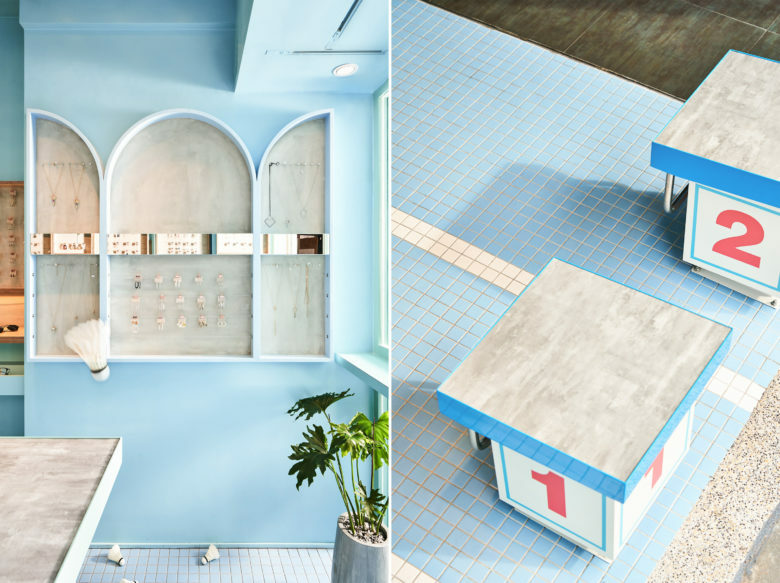 Every design decision circles around the theme of a stadium. 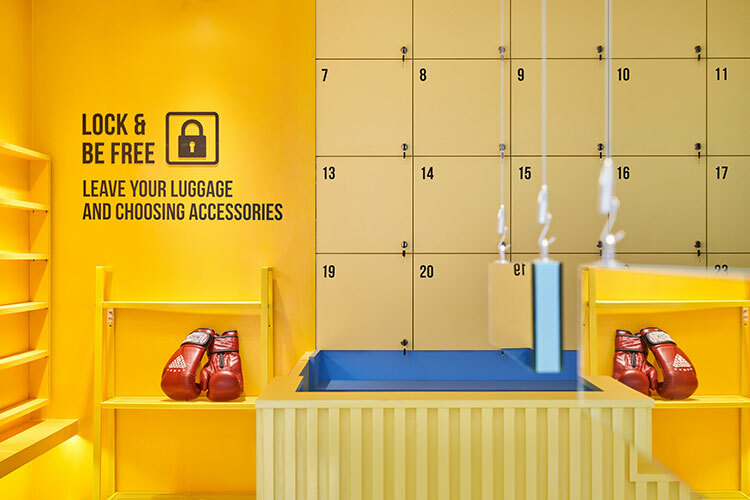 Blue and yellow are the main colours which gives a hint of a summer vibe. 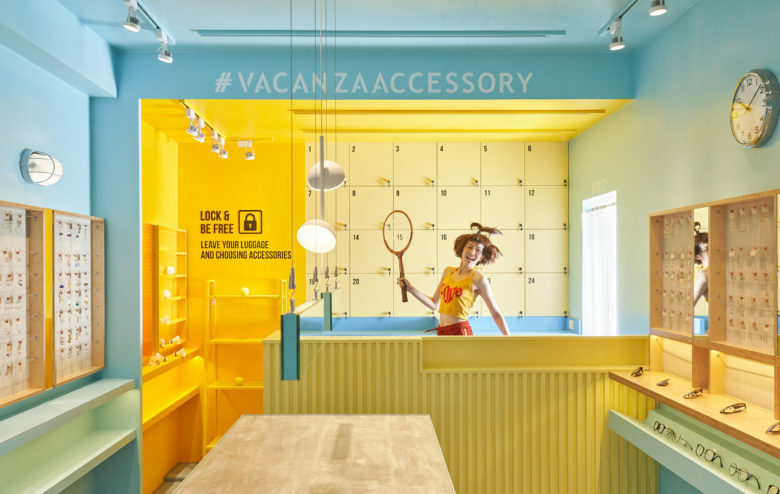 With different shades, the interior space feels both layered and cheerful.